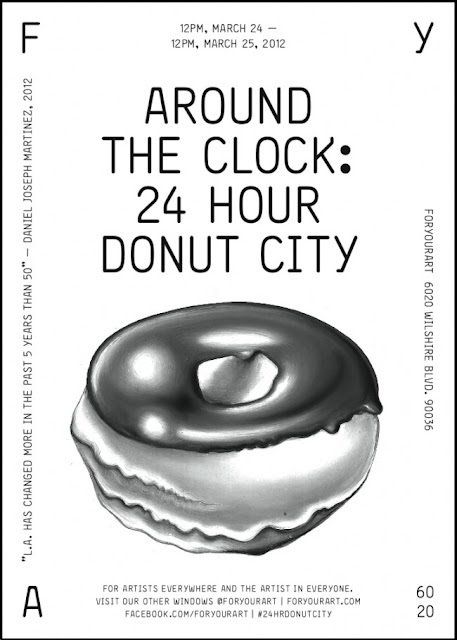 If you are in LA this weekend, check out the witty symbiosis of the Pop-Up 24 Hour Donut Shop and LACMA's The Clock: 24 Hour Screening. Gorge on free donuts with flavors like Tres Leches Donut from the new Umamicatessen and Strawberry Buttermilk Donut from Fonuts while watching a clever film montage. It's not often that you get to feel fat and smart at the same time. Take advantage.